*USD currency rate’s data on this article is on July 21st, 2016. currency rates changes depending on financial condition. Jozankei Onsen is located about 40 minutes by car from downtown Sapporo and has been much loved by Sapporo citizens and tourists for many years. 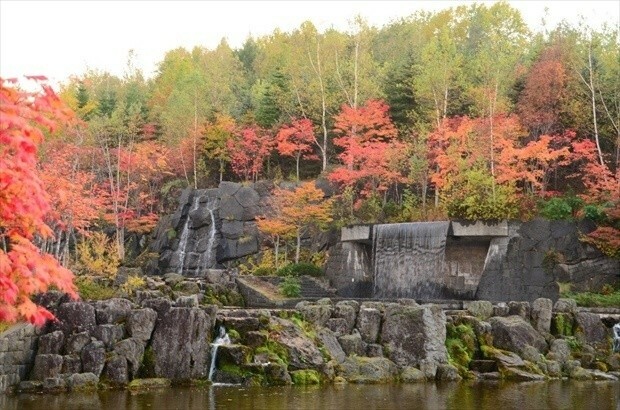 It is located on the upper reaches of the Toyohira River, which runs through the center of Sapporo. Its beauty is set off by the way that it contrasts with the valley. 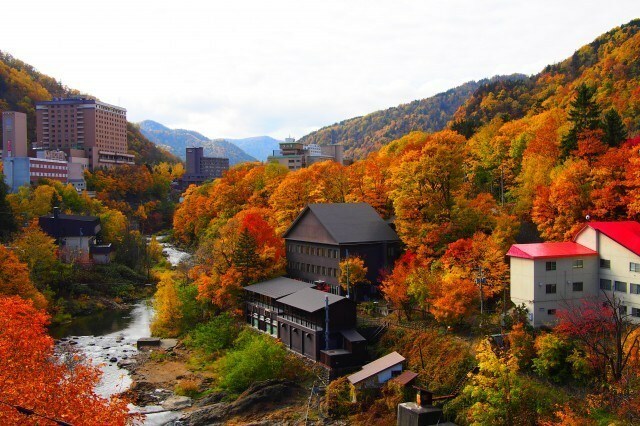 What makes the autumn leaves at Jozankei Onsen distinctive is that they can be enjoyed in many different ways. Visitors are also feel free to stroll about the site. 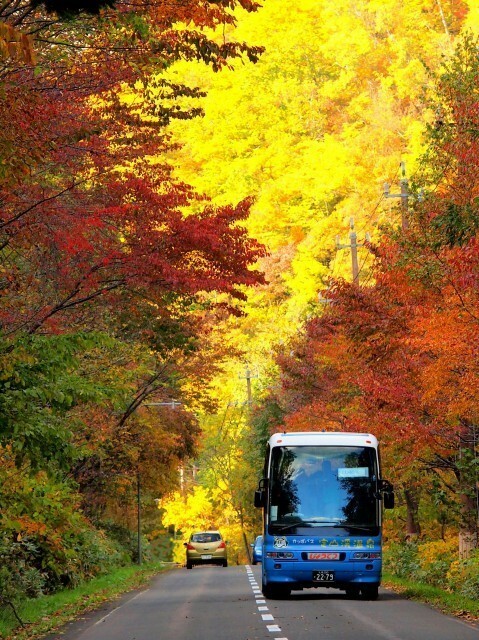 The Koyo Kappa Bus is in service during the autumn leaves season. 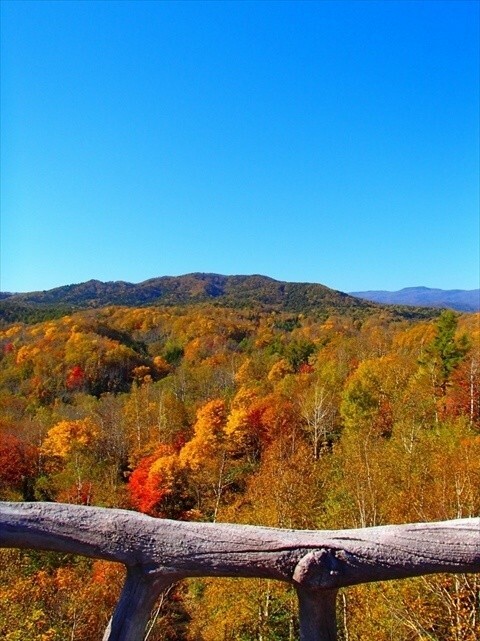 A local guide will introduce this stunning site for viewing autumn leaves. The Koyo Gondola is also in service for a limited time only. 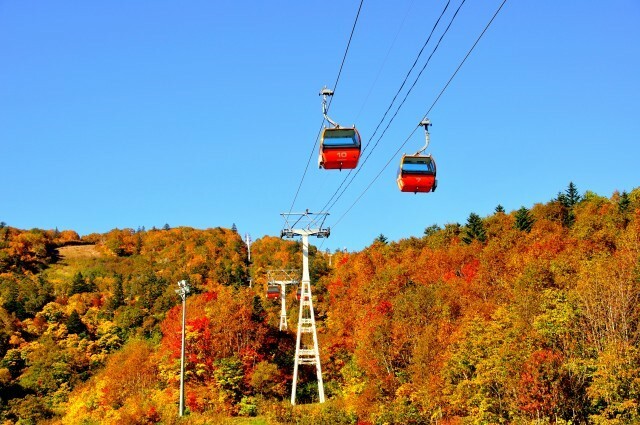 It belongs to the Sapporo Kokusai Skiing Resort, which is about 30 minutes from the onsen by car, and offers passengers aerial views of the autumn leaves that spread all over the mountains. Shuttle bus services also run from the onsen. Use your ticket stub to take advantage of discounts for day visits to the onsen! 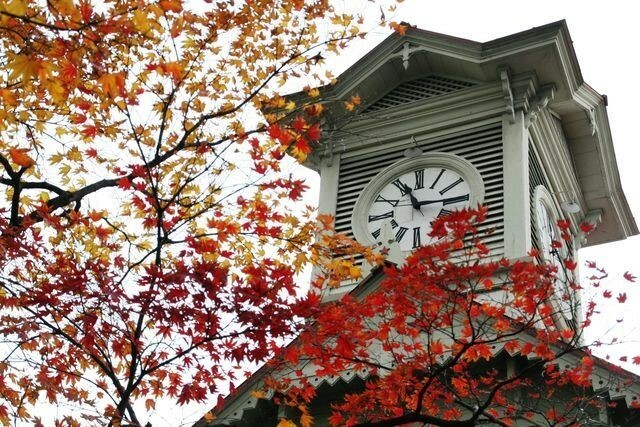 Maizuru no Toro: The best spot for autumn leaves. 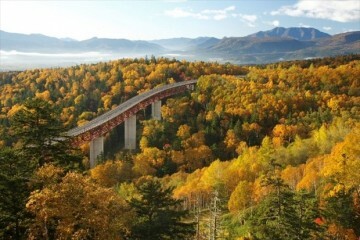 While the autumn leaves can be seen from Nishikibashi Bridge, viewing it from a canoe is highly recommended. Jozankei offers a full range of activities that first-timers can enjoy, including canoing and rafting. A totally different world opens up when you watch the the autumn leaves from the surface of the water. 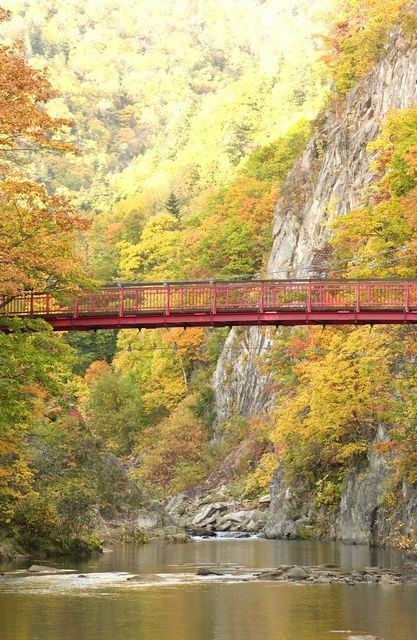 So what are the ways to enjoy the autumn leaves at Jozankei Onsen, where the entire valley gets covered in leaves? 2. Hoheikyo, just 10 minutes drive from Jozankei! 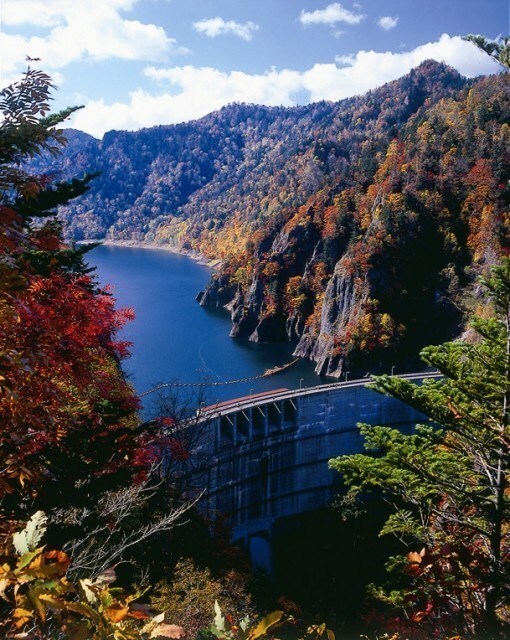 Located in Shikotsu-Toya National Park, Hoheikyo offers visitors beautiful scenes of the autumn leaves contrasting with the Hoheikyo Dam, a site which was selected for inclusion in both Japan’s 100 Selected Forest Water Sources and 100 Selected Reservoirs. 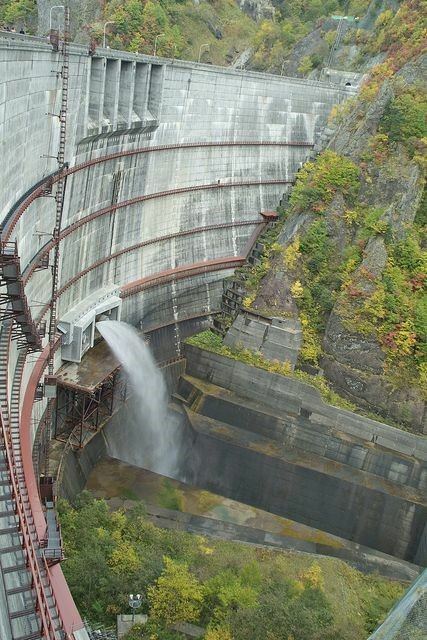 Different views can be enjoyed from the dam embankment and the observation deck. Park your car in the free car park at the entrance to Hoheikyo Dam and travel to Hoheikyo Enchi by hybrid electric bus. 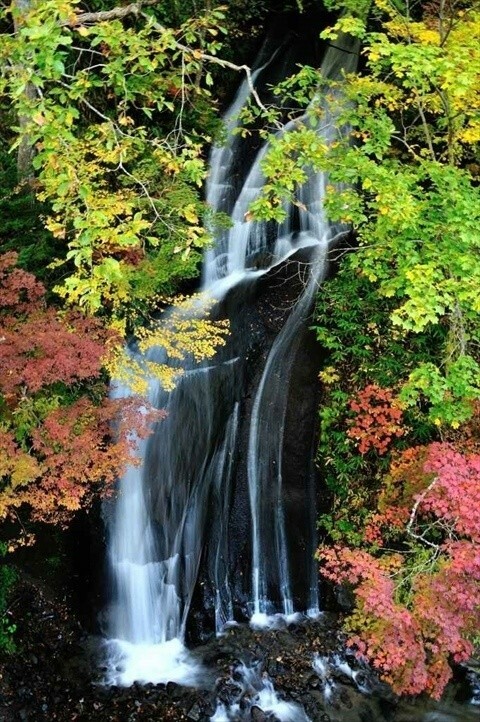 Along the way, enjoy sweeping visas of the Kudan no Taki Falls and Senjoiwa. 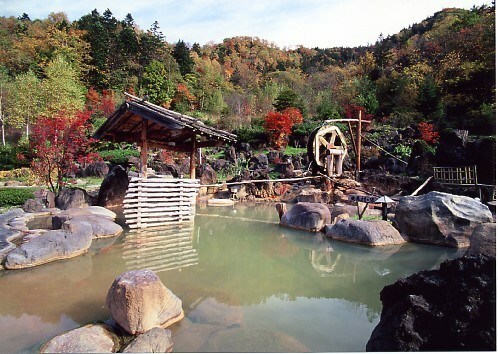 Traveling down from the dam a little by car, visitors will find the Hoheikyo Onsen. With its spacious ambiance and constantly flowing waters, the large open-air bath is a popular spot. The autumn leaves, light up fantastically at night, can also be enjoyed from the open-air bath. 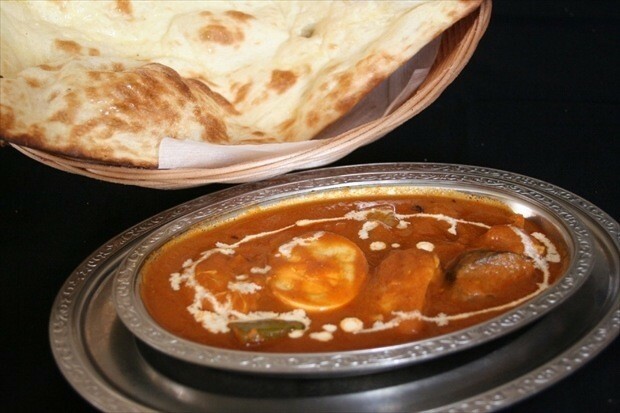 A must-eat for anyone visiting this spot is authentic Indian curry prepared by Nepalese chefs. 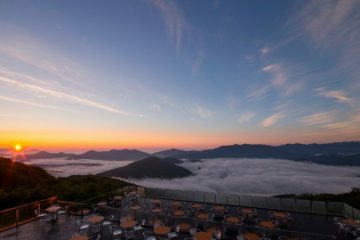 The fact that this onsen won the top spot for day-visit onsens in Japan on Trip Adviser in 2013 is also rather convincing. A sightseeing orchard is also located nearby. Because Jozankei Waiwai Farm is located at a high altitude, it is distinctive for the sweetness of its fruits. Apples, prunes, pears, and grapes come into season around October. The farm also features a fishing pond that is fun for children, and visitors are welcome to take home some of the natural spring water. 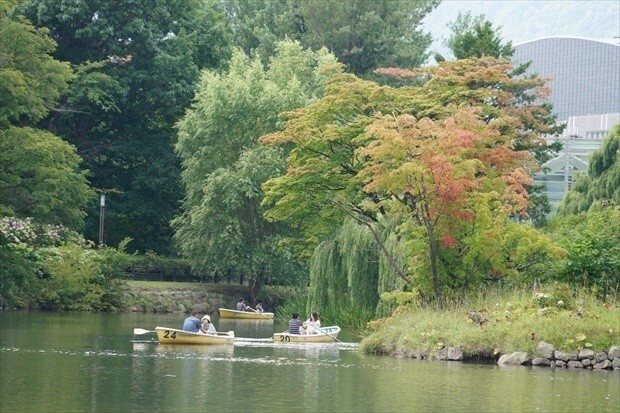 This well-located spot is just 10 minutes by car from Jozankei. 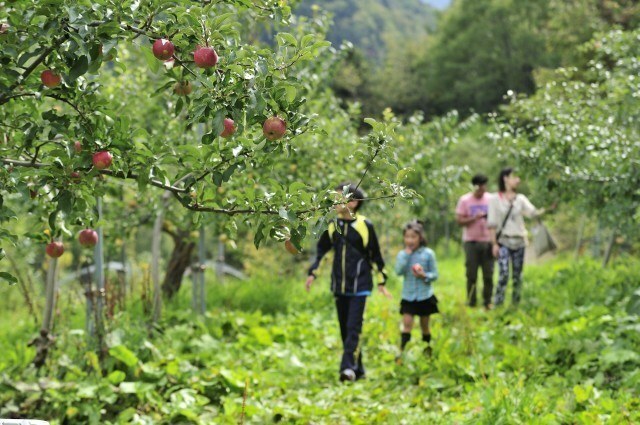 You can enjoy a whole day with Hoheikyo Dam, a day visit to the onsen, and fruit picking. 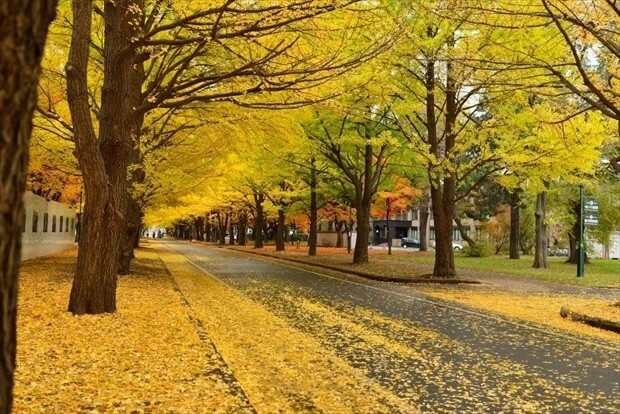 There is a huge forest park in Sapporo. This park is 400 hectares in size and is divided into three distinctive zones. It is full of attractions. The Mountain Stream Zone (free of charge) has four waterfalls. 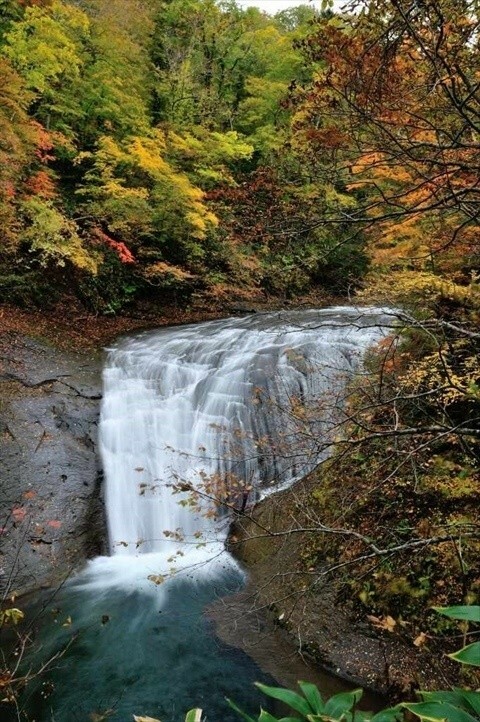 Among these, the Ashiribetsu Falls were selected for inclusion in Japan’s 100 Selected Waterfalls. 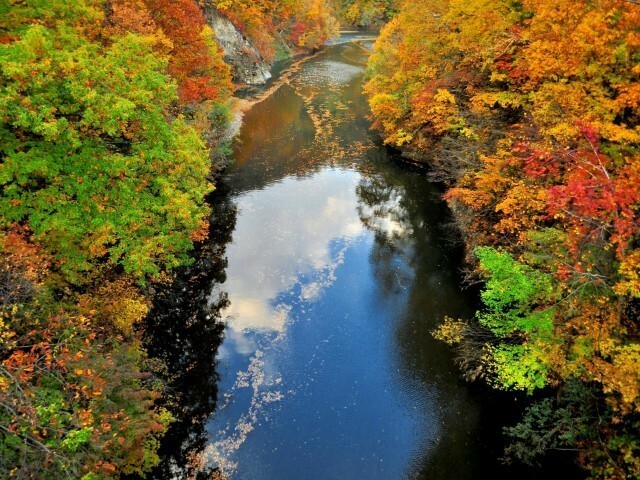 It is a gorgeous spot for autumn leaves. 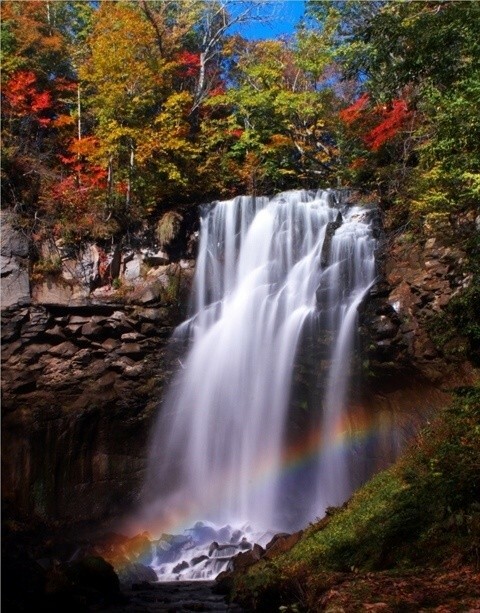 If you are lucky, you may catch a glimpse of the Ahiribetsu Falls rainbow soon after the park opens in October. 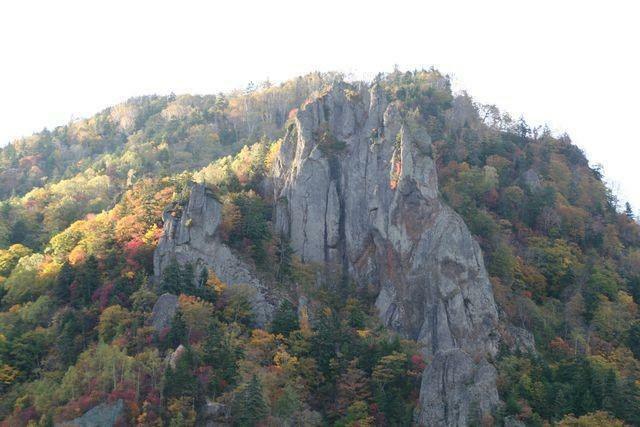 The Takino Forest Zone is especially rich in nature. 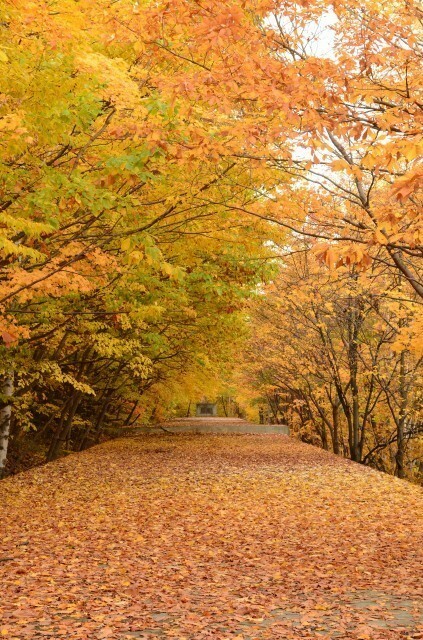 The East Area has a paved walking path where visitors can enjoy walks in the forest of autumn leaves to their heart’s content. All sorts of forest play can be enjoyed, including the roller slide. The Central Zone has areas that children will be thrilled with, where they can use their bodies to play, such as the Children’s Valley forest house. The autumn leaves here are not to be missed. The maples in the Water Plaza are also highly recommended. 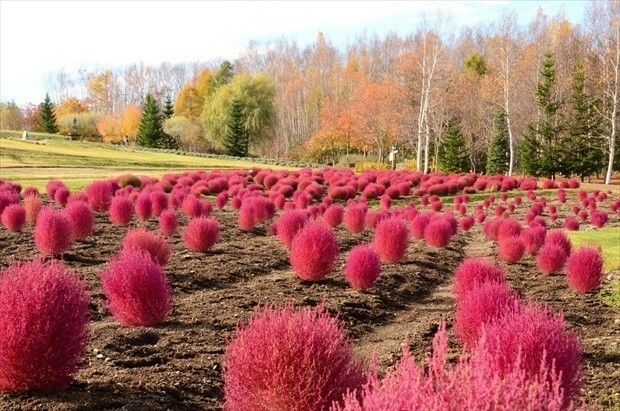 In the Country Garden, this fluffy plant’s leaves also turn red. The plant is a kokia. The park is so large that you cannot get around it all in one day. 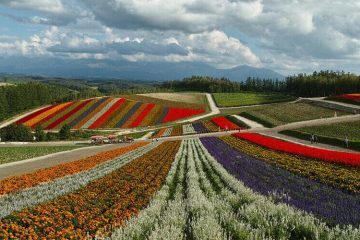 It is located about an hour’s drive from Sapporo city center. 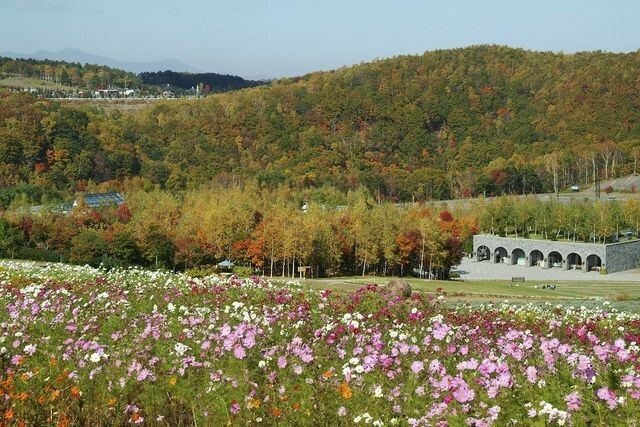 Eniwa Valley is a best-kept secret among autumn-leaf viewing spots in the Sapporo suburbs. Three unique waterfalls are lined up the main road that runs along the valley. Walking paths and waterfall-viewing areas can be found along the mountain stream, and it takes about an hour to look around. 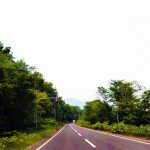 The three-tiered waterfall does not have any parking, so proceed to the car park at Rarumanai Waterfall or Hakusen Falls. The Hakusen Falls car park has shop and toilet facilities. There is no public transportation, such as buses. Eniwa is located about an hour’s drive from Sapporo Station. Lake Shikotsu can be found forty minutes further along Route 453. Chitose Airport is about 50 minutes from the valley. 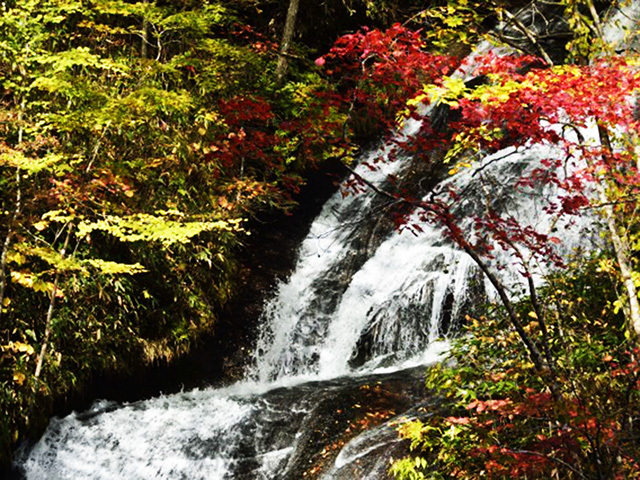 The autumn foliage at Lake Shikotsu is also beautiful. 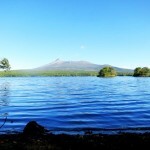 We also recommend it as a place to drop by along a drive around Lake Shikotsu. The Hokkaido University campus is located 10 minutes’ walk from Sapporo Station. 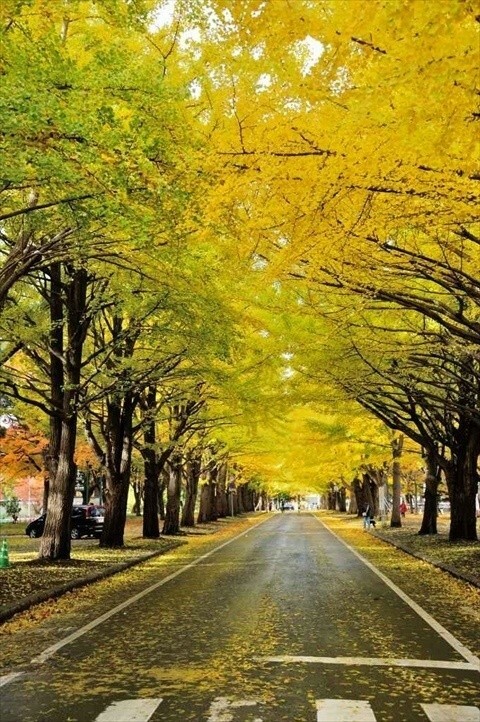 While the campus is frequently visited by tourists and Sapporo locals, many people come to see the rows of ginkgo trees during the autumn leaves season. The campus covers a vast site and is accessed by three different subway stations. You can check the autumn leaves’ situation by This Webpage. A breezy campus, reminiscent of a park. 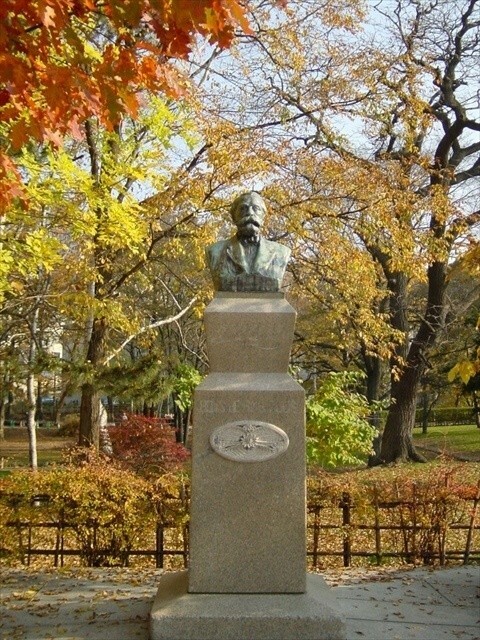 A statue of William Smith Clark, famous for his line, “Boys, be ambitious,” is located in the central lawn. 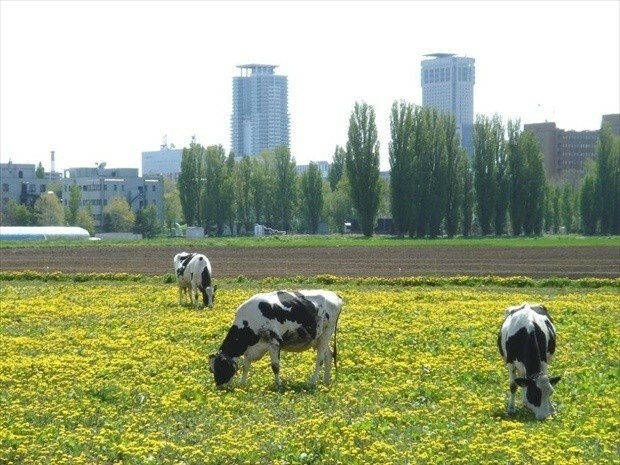 The university also has cattle and sheep grazing. Souvenirs available exclusively at Hokkaido University are on sale at Elm Forest, the information center immediately inside the front gate. It is nice to enjoy the cafeteria in the spirit of being a student again, or to drop into Restaurant Elm, which is a satellite restaurant of the Sapporo Grand Hotel. It is so surprised to find such a magnificent campus, still full of history and nature, spread out in the middle of the city. *you cannot leave the car within the university campus. Maruyama Park is not a spot just for cherry-blossom viewing, but also a somewhat different, charming spot during the autumn leaves season. It is conveniently located, five minutes’ walk from Maruyama Koen Station on the Tozai subway line. The entire park fills with beautiful color with the reds of cherry blossoms and autumn leaves, or the greens of katsura or ginkgo trees. 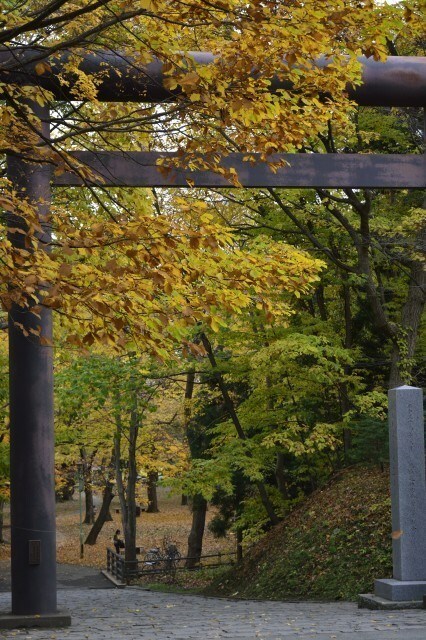 The park is connected to Hokkaido Shrine. 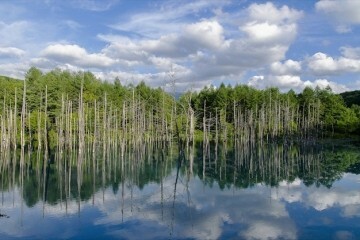 It sits beside the Maruyama Wild Forest and is equipped with a flat walking path. 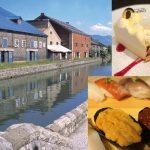 Another feature of the Maruyama area is its gastronomic spots. 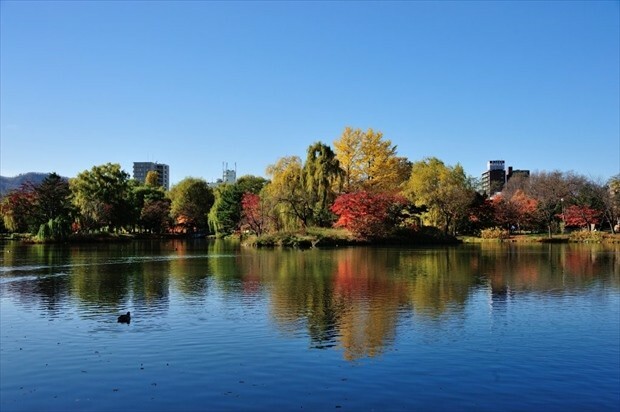 The park is dotted with famous, fine-dining restaurants such as the Michelin three-star, Hokkaido French restaurant Moliere, or more relaxing Italian restaurants and cafes, allowing visitors to enjoy a visit that combines lunch and walk in the park. Rokkatei Maruyama has an adjacent tearoom. The well-priced lunch and sweets, and also being able to buy souvenirs, make this a popular spot. May we suggest a visit by enjoying some relaxed forest therapy and licking your lips over some delicious lunch? Lush with trees and water, and with Mt. Moiwa as a backdrop, this park was authorized for inclusion in Japan’s City Parks. Alight at Nakajima Koen Station, and the park is right there. 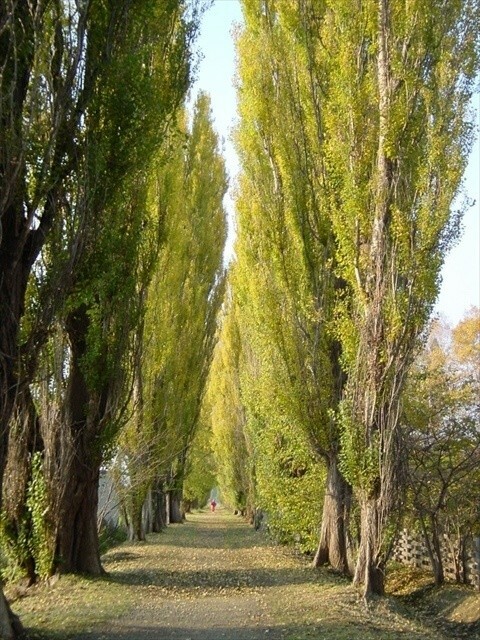 The rows of ginkgo trees that extend from the entrance are a definite highlight. 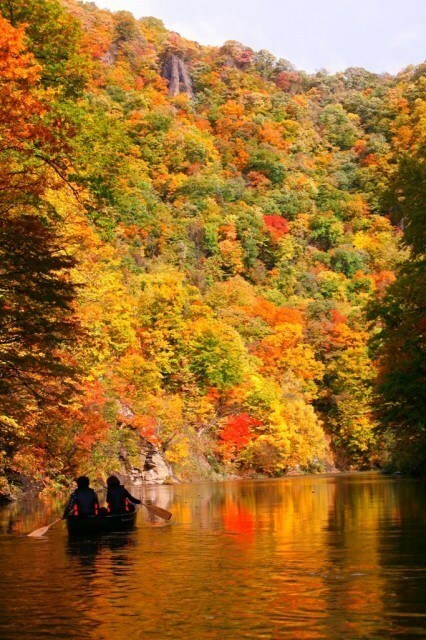 The area around Shobu-ike Pond turns beautiful autumn colors, taking a ride in a boat is highly recommended. occupying the area of about the size of one subway station, this is a part that is dear to the people of Sapporo. 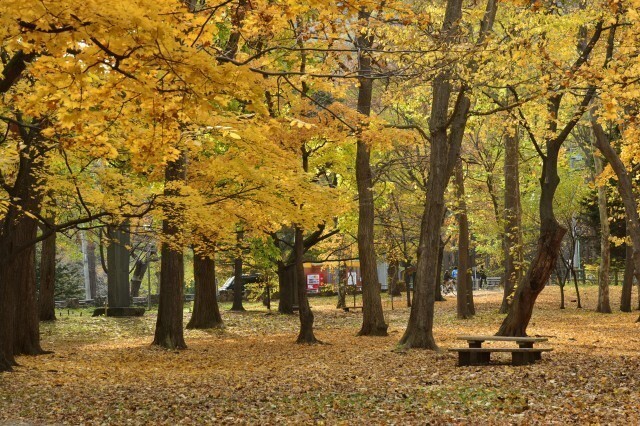 It is located close to the bustling Susukino area, but is very quiet, without any city din. 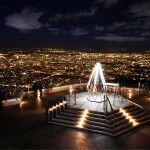 In addition to the Sapporo Park Hotel, which is located nearby and other high class hotels like the Sapporo Park Hotel. 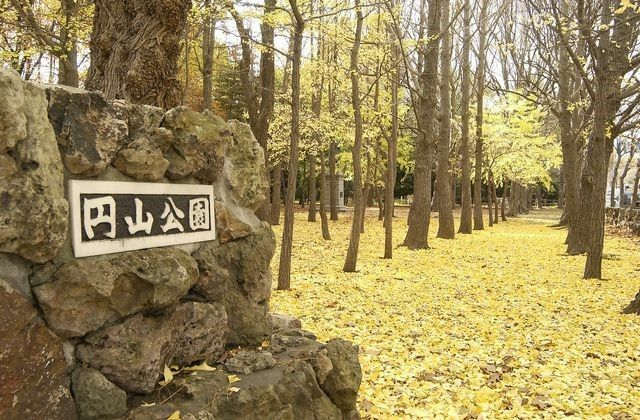 The autumn leaves can be viewed from rooms in these hotels, and visitors are sure to leave with wonderful memories if they take a walk in the park before breakfast. Perhaps you are wondering about the kind of clothes to wear during the autumn leaves season. 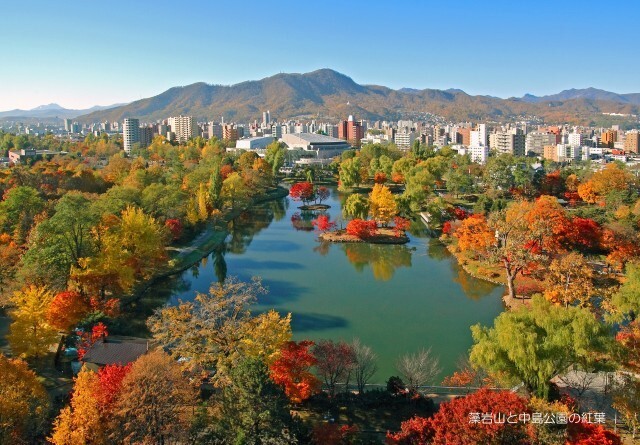 Average temperatures in Sapporo in October are 12°C(53.6°F), which is the temperature that Tokyo reaches in November. Temperatures will be lower in the mornings and evenings, making jackets essential. You’ll feel safer packing a windbreaker or a windproof down jacket. So how does all that sound? 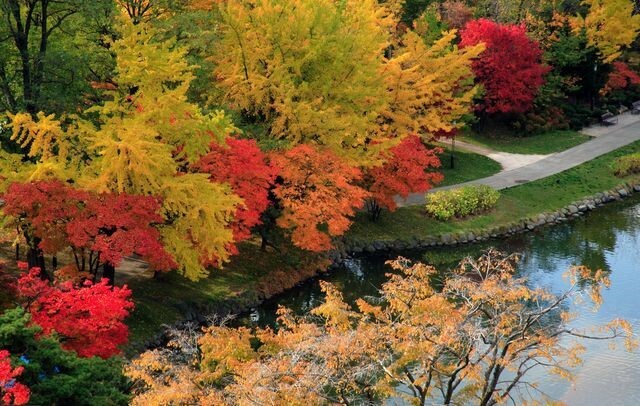 There are many spots in Sapporo offering relaxed viewing of the autumn leaves. 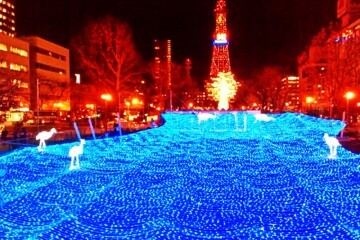 Please do come and take a look at Sapporo as the whole city turns a crimson red color!